Facebook says subscription fees will allow administrators who manage popular groups to earn some money in exchange for the time they spend creating content and cultivating these online communities. 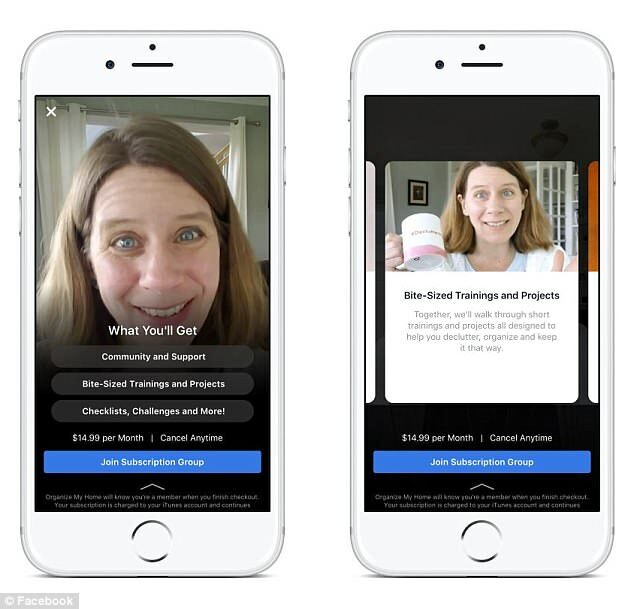 Alex Deve, Facebook Product Director of Groups, said: ‘We hear from group admins that they’re looking for ways to help them earn money to deepen engagement with their members and continue to support their communities. ‘Many admins do this today by creating an additional subscribers-only group that sits alongside their existing group, and rely on additional tools to track and collect payments. Facebook subscriptions will only be available on iOS and Android during this trial period. 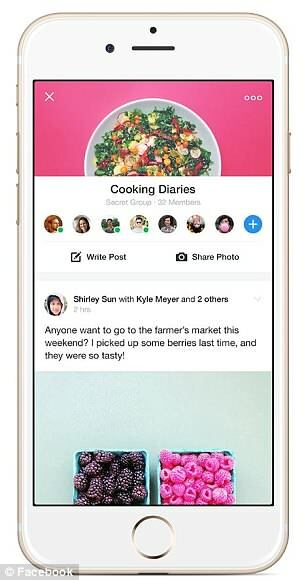 Users can subscribe to a new group via the Facebook smartphone app, as well as manage existing subscriptions. Monthly subscriptions can be cancelled at any time, with no commitment to sign-up for a set number of months. It’s unclear whether Facebook users will relish the chance to support the online communities they take part in, or whether the introduction of a paywall will turn away group members. Facebook believes the new revenue stream will help groups create better content, such as more frequent posts and video content, as well as events in the real-world. Grown and Flown Parents is another group trialling the subscription fee option. It has built a new ‘College Admissions and Affordability’ group which charges $29.99 (£22.80) a month to connect parents of high school-age children to speak to college counsellors to help them prepare for the college application process. As it stands, Facebook will not be taking a cut of the subscription fees set by group administrators. However, as is standard policy for all in-app purchases, Google and Apple will take a percentage of any digital goods sold within an app from the Play Store and App Store, respectively. 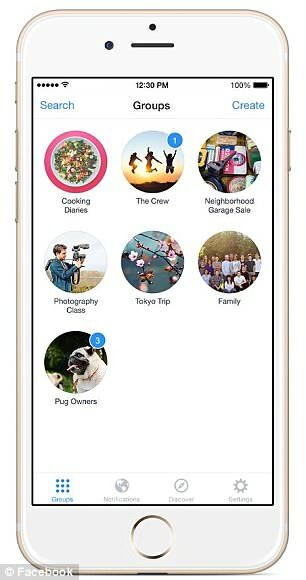 Subscription fees is the first real attempt from Facebook to monetise its popular group feature. 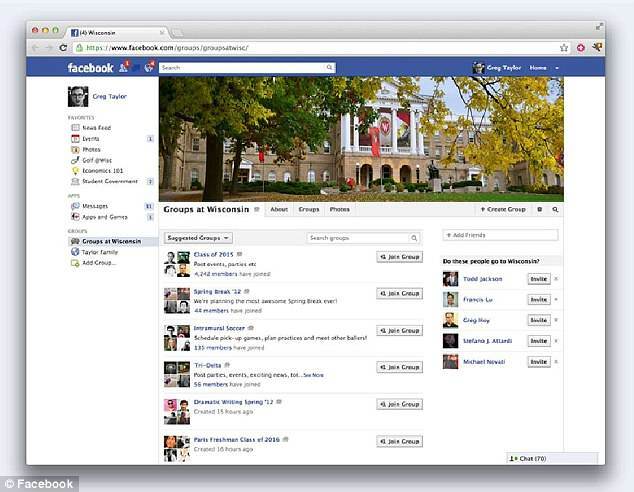 Unlike the News Feed, this portion of the social network does not rely on advertising revenue. The news comes as Facebook CEO and co-founder Mark Zuckerberg did not rule-out a subscription plan for the social network while testifying in front of US Congress. Among the swathe of issues discussed at the hearing in April, which was called in the wake of the devastating Cambridge Analytica data breach, senators hounded Zuckerberg on the possibility the Menlo Park-based social network could require users to pay to use an ad-free version of Facebook. ‘In order to not run ads at all, we would need some sort of business model,’ the multi-billionaire said. However, Zuckerberg insisted that whatever the company had planned for the future – it would always provide a free, ad-supported version of its service. ‘There will always be a version of Facebook that is free,’ he told senators.